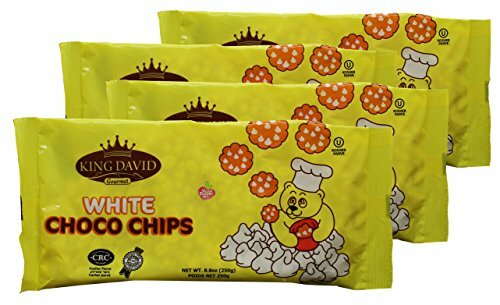 If you’ve been vegan long enough and really have a thing for white chocolate, no doubt you’ve hear of King David’s chocolate. Undoubtedly, they probably have some of the best tasting white chocolate around. They melt well, still have a good amount of sweetness to them, and make people fall in love at first bite, just check the reviews. Ingredients: Sugar, Vegetable Fat, (Palm) Soy Flour Emulsifiers (Mono & Diglycerides), Polyglicerol Polyricinoleate, Soy Lecithin, Cocoa Butter, Salt, Flavors, Vanillin. 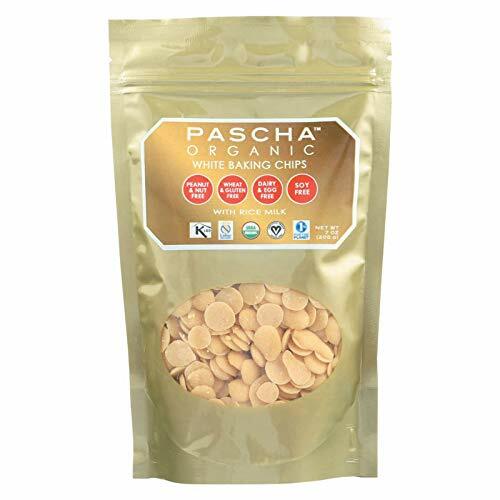 Pascha also makes these chocolate chips for baking. They melt really well, and they don’t have the same strong flavor as the bar. These are much sweeter and would taste much better in cookies and such, than the bar would. Ingredients: Organic cocoa butter, organic rice powder (rice syrup powder, rice starch, rice flour), organic cane sugar. These chocolate chips are pretty good. They have an alright taste, nothing in particular stands out about them. They do take some time to melt, but just a little patience will get you there. They’re perfect for white chocolate chip macadamia nut cookies. Ingredients: Non-bone-char processed sugar, vegetable oil (palm), cocoa butter, soy lecithin, vanillin, salt, vegan flavors. These have the great King David white chocolate taste with the melting power of regular chocolate. They’re sweet but not so much so that it ruins your baked goods. 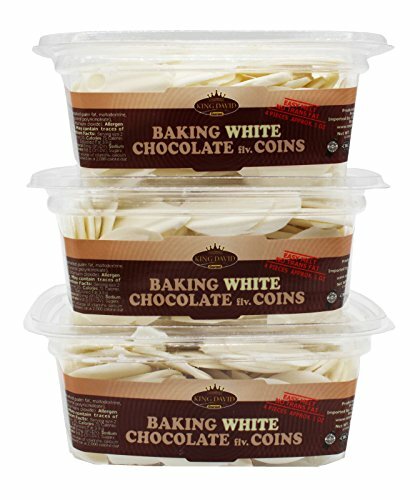 These are excellent for baking, but you’ll probably find yourself dipping in the coin jar more than once. Ingredients: Sugar, Hydrogenated Palm Fat, Maltodextrin, Emulsifiers (soy lecithin, polyglycerol polyriconeate), Flavorings, Salt, Food Colorings (titanium dioxide). This white chocolate doesn’t have anything special about it, but users say it gets the job done. They’re very tiny so you can literally only use them for baking or snacking. They can be hard to melt, but since they’re so small you can add a little corn syrup or milk in there to help move the process along without getting any large chunks. Ingredients: Sugar (non-bone char refined) partially hydrogenated palm kernel oil, sorbitan monostearate, vanilla and soy lecithin.